Type 1 diabetes has long been considered a disease of childhood and adolescence. However, current research suggests that infant nutrition in addition to genetics and other factors early in life can significantly impact a child's risks for developing the condition later in life. How can we identify children at risks for type 1 diabetes and what can we do to prevent or intervene with disease process? You are listening to ReachMD, the channel for medical professionals. Welcome to a special segment Focus on Diabetes. I am your host, Dr. Jennifer Shu, Practicing General Pediatrician and Author. Our guest is Dr. Andrew Muir, Professor of Pediatrics and Chief of Pediatric Endocrinology at Emory University School of Medicine. Let’s set the stage a little bit by talking about the prevalence of type 1 diabetes and whether you are seeing a change, increasing or decreasing or changing with the age, which is being diagnosed. The traditional prevalence of type 1 diabetes as is quoted in most papersis around 2 to 3 per 1000 children. However, there has been an increase in the incidence of diabetes in children under 5 that has been recognized in a number of countries simultaneously and probably tracing back over at least the last 10 years. We don’t really understand at this point the reason for this increase, but its occurring at awkward time when we are seeing both an increase now of type 1 and type 2 diabetes for totally different reasons. Now some of the focus on research of type 1 diabetes is looking at the perinatal period and early infancy. 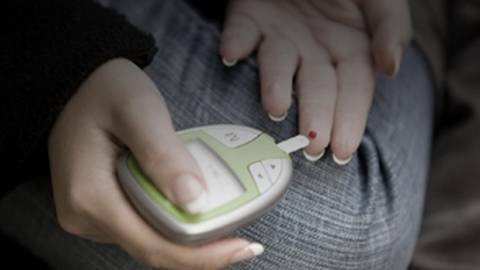 Let’s talk about some of the early risk factors for type 1 diabetes. Starting with genetics, what can you tell us about genetics as a risk factor? We have known for many years that there is constellation of immune response genes that control the major genetic preposition to type 1 diabetes. These genes are called the HLA genes and most people are familiar with them because of the genes that are examined when we were looking for matching donors. There are some specific types of HLA genes that put a child at highest risk for diabetes and interestingly if we use the term DR3 and DR4 to name the 2 high risk types. When you have a combination of one DR3 gene and one DR4 gene, your risk is maximized, whereas a DR3 homozygote or DR4 homozygote is at somewhat less risk than one who has the heterozygous combination. Autoantibodies have also been implicated as a predictor of type 1 diabetes. What autoantibodies are we talking about here and how are they detected? The oldest form of antibody was detected with a rather cumbersome assay where serum would be laid over top of a frozen pancreas section and any antibodies against the islets would bind specifically to the islets in that frozen tissue and could be identified with a fluorescent antibody and those are called islet cell autoantibodies. As time went on, we learned the actual identity of these antibody targets and insulin was, in fact, the first autoantigen or antibody target that was identified and that was subsequently followed by identification of glutamic acid decarboxylase, which is an enzyme important in neurotransmitter formation and then an unknown antigen called IA2 was later found. The protein is now well sequenced and understood, but the function of IA2 remains obscure. There are hosts of other less frequent autoantigens that have been described, but do not have clinical application at this point. Lets talk a little bit about maternal factors. Has maternal age played a role in predicting type 1 diabetes. Increased maternal age increases the risk. To me the most fascinating thing about maternal insulin is on diabetes is that a child of a diabetic mother is at lower risk of getting the disease than a child of diabetic father. So a father is about as twice as likely to have a child with diabetes than the affected mother. Is there way to make sense of that, to explain that? There are lots of theories. I guess none of them really have solid evidence, but the most attractive one is that there may be some protective maternal factor that is transferred during pregnancy to the baby or perhaps some kind of imprinting process where genes that are expressed by mother's chromosome may have an affect that is different from that if the child expresses the father's chromosome. Now there seems to be a lot of talk about what an infant eats, whether it is breast milk or infant formula or when you start solid foods in children and this can affect anything from obesity to allergies, but how might that affect a child's risks for getting type 1 diabetes. The most powerful affect that has been observed in retrospective studies has been the difference of whether you drink cow's milk or breast milk and the age of which the cow's milk may be introduced. So that breast milk seems to have a very protective affect that is increased as you breast-feed longer. The actual cause for this is not known. There are theories that it may be cow milk proteins that cross react with islet antigens and set up an autoimmune response. Some suggested there might be an infectious agent in cow's milk that setup some kind of auto reactive response in the islet. There is no definitive proof of any of these at this point. There is a study going on right now called trigger, which is a multicenter study to look whether introduction of cow milk puts a child at higher risks than introduction of a hydrolysate formula where all proteins have been digested down to hypoallergenic form. So the interest will be to see how these children grow, whether those with the cow milk formula will have a higher rate of diabetes than those who get the protein hydrolysate. If you have just joined us, you are listening to a special segment Focus on Diabetes on reachmd. I am your host, Dr. Jennifer Shu. Our guest is Dr. Andrew Muir, Professor of Pediatrics and Chief of Pediatric Endocrinology at Emory University School of Medicine. We are discussing early predictors of type 1 diabetes. Now what about some maternal infections or infections in early infancy that may lead to or be associated with type 1 diabetes in the future? An infection that seems to be the most intriguing and likely environmental precipitant of diabetes and both maternal and infant infections have been incriminated. The list is long. There are many incriminated viruses including measles and mumps, Rotavirus, and the list goes on and on. The one that seems to be of most interest is the coxsackie B viruses, the enterovirus that causes typically diarrhea, but can also cause other systemic infections. The retrospective analysis showing evidence of a recent coxsackie infection close to the time of either diabetes onset or close to the time of first recognition of autoantibodies against the pancreatic islets are the most intriguing evidence that an infection may be the precipitant of both the autoimmune process that causes diabetes and then perhaps progression of islet destruction to the point of insulin requirement. Again a study is being done to look at this question, prospectively the TEDDY study is a prospective cohort analysis of many thousands of children around the world who are being followed for environmental, dietary, infectious, stress indicators, medications, immunizations, etc. looking prospectively for what factors may be associated with triggering of diabetes in those who are already genetically at risk for the condition. It has also been proposed that environmental toxins may be playing a role and some people have suggested that immunizations may actually cause type 1 diabetes in children. Is there any evidence that might back this up? The evidence that immunizations cause diabetes is very vague and not universally accepted as valid. We certainly feel very confident at this point recommending that the benefits of immunization far outweigh the risks of immunization, in that if they cause diabetes, it’s only in a very, very small number of cases where that is relevant. Again that is being tested prospectively in a manner that should allow that question to be answered definitely, but the answer is quite a number of years away still. Other environmental toxins have been implicated. There are clearly medications when used in high doses be used to cause diabetes in animals for experimental purposes, but whether these really have any clinical application isn't clear. There have been toxins related to fungi and again probably not important for most cases of diabetes. Let’s switch gears a little bit and talk about screening for type 1 diabetes in children even before they have symptoms. Is such a screening process available now? There are 2 approaches to screening children who may be at risk for diabetes. One involves looking for genes that may predispose someone to diabetes; that would be effective at an early stage right from birth forward even before the process of diabetes has been started. The problem with that approach is you will have many children who carry the high risk genes who will never get diabetes. We are talking in the order of 3% to 5% of children who have the highest risk genes are likely to become positive at some point. On the other hand, one can look later in the disease process at a time when autoimmunity has started and circulating autoantibodies are present, but the process has not progressed to the point where the beta cells producing insulin have been embarrassed to the point that there is inadequate insulin secretion. Where do you see research taking us as far as research on the horizon to intervene with the disease process itself? Right now we are balancing two processes. We are looking at disturbing the immune balance in a patient and the closer they get to having diabetes with overt symptoms then more courageous we can be with an intervention. So that children who are right at diagnosis or right before diagnosis, we may be willing to use an intervention that temporarily interferes with the immune system, may leave him them temporarily immune suppressed with the hope of retraining the immune system so that it becomes tolerant of the pancreas and can live in a new equilibrium where insulin is no longer being depleted. As one gets further away in our preclinical evaluations and we get to the point where a child might have genetic susceptibility, but no active signs of autoimmunity, we are obviously averse to using medications that have toxic side effects potentially and we would revert to more benign interventions such as an omega 3 fatty acid intervention or perhaps a vitamin D.
I would like to thank our guest, Dr. Andrew Muir. We have been discussing early predictors of type 1 diabetes. I am Dr. Jennifer Shu. You have been listening to a special segment, Focus on Diabetes on reachmd, the Channel for Medical Professionals. Be sure to visit our web site, reachmd.com, featuring on-demand podcasts of our entire library. Type 1 diabetes has long been considered a disease of childhood and adolescence. However, current research suggests that infant nutrition, in addition to genetics and other factors early in life, can significantly impact a child's risk for developing the condition later in life. How can we identify children at risk for Type 1 diabetes, and what can we do to prevent or intervene with the disease process? Dr. Andrew Muir, professor of pediatrics and chief of pediatric endocrinology at Emory University School of Medicine, speaks with host Dr. Jennifer Shu about early predictors of Type 1 diabetes.